fabrics – linen, silks & buckram bookcloth. Linen is a fabric made up of various cotton-like fibres. Whereas buckram is a stiff cotton-like cloth with a loose weave. The buckram is usually soaked in a wheat starch paste or glue to harden it up and hold the weave together, almost like a shiny canvas. There are a few different colours available for the embossing too. 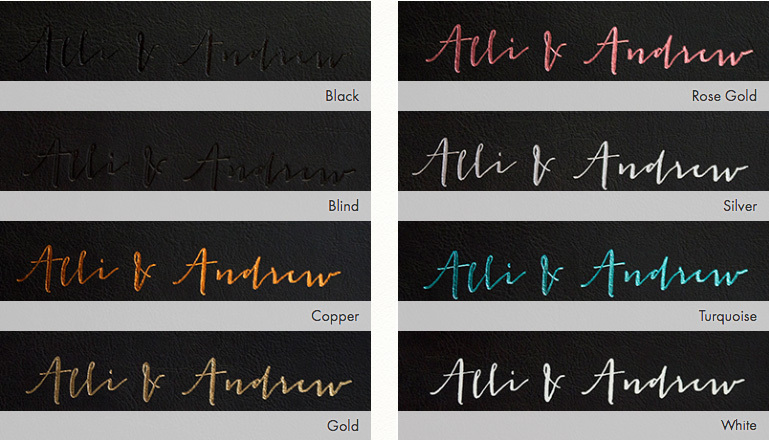 Choose from Gold, Silver, Rose Gold, Copper, Black, White & Turquoise foils as well as Blind (clear) embossing. Refer to the Embossing Foil Colours below. Album Cover – choose from Linen, Asahi Japanese Silk, Buckram and Leathers. Clamshell Box – choose from Linen, Asahi Japanese Silk, Buckram and Leathers. Slipcase – choose only from Linen, Asahi Japanese Silk & Buckram. Choose from Black, Blind (clear), Copper, Gold, Rose Gold, Silver, Turquoise & White. Note: Blind embossing is clear to show through the colour of the cover material underneath. Eg. if the cover was a coloured leather such as red, your embossing would show through the red leather. 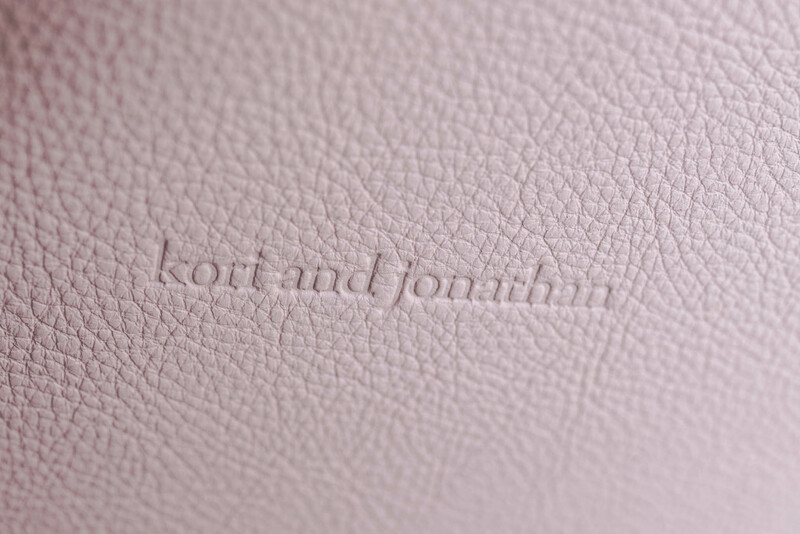 Below is a sample of the Blind (clear) embossing on a leather cover.